The staff was very kind. The manager was very helpful. it's close to gay community. easy to go to gay bathroom. Great location right in front of the underground station, staff was super friendly and helpful. Bed was super comfortable and breakfast was nice as well. Smoking friendly, perfect location. Amazing stay. Accommodating staff, washer on-site, very close to a subway station and a park - superb location. Very soft sheets and pillow - rested perfectly. The staff were nice. Especially the guy when I arrived. He went above and beyond his duties to help me out with the lose of my phone. The metro across the street made it easy to get around. A supermarket on the corner of the street was handy. 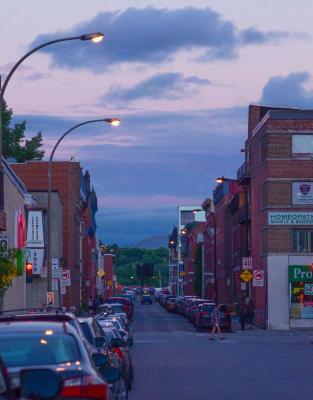 Right across the street from the Papineau Metro station and steps away from a grocery store. The room was considerably large which was nice and the linens were clean. Location, location, location! Papineau subway station right across the street. Well-located. (Mostly) friendly staff. At the SW end of the gay village, and with Ste. Catherine St. being 'pedestrianized, it turned out to be perfectly located. Clean, private bathroom. A separate 'Exit' door in the suite led to a 'patio' which is not accessible to the street. Too weedy to actually use, but good to know in case of emergencies. Hotel Dorion This rating is a reflection of how the property compares to the industry standard when it comes to price, facilities and services available. It's based on a self-evaluation by the property. Use this rating to help choose your stay! 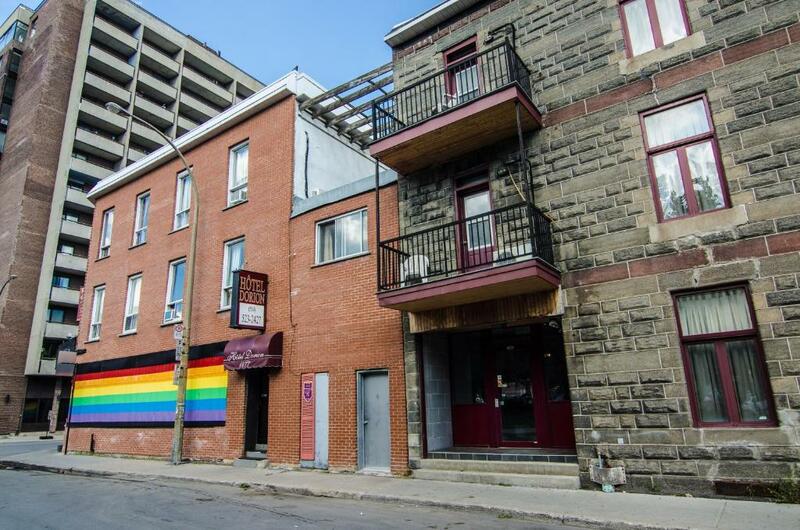 Located in Montreal's Gay Village, Hotel Dorion features easy access to nightlife and area attractions, including the popular St. Catherine Street shopping area. While staying at the Dorion, guests can enjoy a weekend continental breakfast along with fresh coffee, available 24-hours a day. The hotel also offers on-site laundry facilities as well as WiFi access. 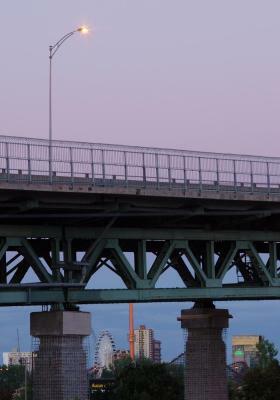 Hotel Dorion is conveniently located only steps from Papineau Metro Station. 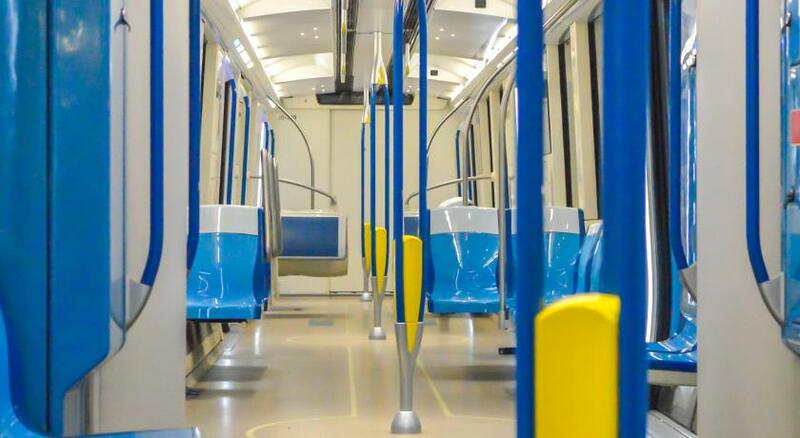 This location makes popular sites such as Old Montreal and the Montreal Convention Center easily accessible. There are also a number of delicious restaurants and unique shops located nearby. When would you like to stay at Hotel Dorion? This room features a whirlpool tub. House Rules Hotel Dorion takes special requests – add in the next step! Hotel Dorion accepts these cards and reserves the right to temporarily hold an amount prior to arrival. The TV didn't work and the desk clerk was not helpful and the Wifi was iffy. Not a thing, the staff we're wonderful and understanding. Everything, Hotel Didion is an absolute must stay, the staff are angels and the other visitors were extremely friendly. The rooms were super clean and well kept, everything you needed to know was a button away. I even stupidly locked myself out of my room and they rushed to help. last time i stay there, there have free breakfast. this time no free breakfast. i don't know why? The stairs to the second floor was quite steep so perhaps it’s not suitable for people who have trouble walking up stairs with bags or luggage. The overall size of the room and the washrooms were great! Bed was comfy! It's not a big deal, but there wasn't an additional front door key. Which is fine provided there's someone someone from reception which is open 24/7 doesn't take a bathroom break while you're buzzing to get in. : ) Again, not a big deal though. I have to admit that it was a much better place than I had expected. It was very comfortable, the bathroom was clean and organized, plus there was some basic cable television. For the price it was a very, very good deal as I was by myself. Considering that for a youth hostel on the weekend where you're sharing a room with 8 - 11 other people, it didn't cost much more than what such a youth hostel would cost. I booked this for my husband to stay in for a few days in Montreal. The description sounded good on Booking.com. When he got there it was completely wrong. The whole place was dirty; none of the carpets had been cleaned for years and my feet were black from walking on them. The stair rails and furniture was dirty and sticky. My bedsheets had holes in them (looked like cigarette holes), and visible stains, but were never changed. there was human hair everywhere in clumps (looks like it wasn't vacuumed). My room had an emergency door in it, which was padlocked. The place smelled of cat urine and ammonia - he woke up one morning gasping for breath as the smell was overwhelming As an asthmatic that wasn't good. The food was bare minimum for breakfast and looked like what was on sale at the grocery store only. Also this wasn't really a hotel, but more like a rooming house, what looked like people staying/living there. I found out that part of the building/hotel was a welfare rooming house, and you were sharing with them. There were groups of people hanging around who looked like down-and-outs whom you had to go around to get into or out of the building. it was so disgusting he cut the stay short by 2 days and checked into another hotel. I had paid for those two days but abandoned them. The only saving grace is that i don't think i got bed bugs. The building is very old. Need update in the carpeting. There is a jacuzzi in our room which we didn’t expect. In the building smell smoke but not in my room. Thanks hod! This hotel is very dirty with poor quality infrastructure and furniture. 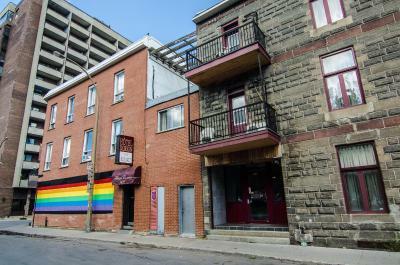 The rooms are used by a number of male and female prostitutes. The rooms are dirty (we did not dare walking bare feet on the floor), there were strains on the mattress, and the bathroom was not properly cleaned. If you keep your room for another night, it will not be cleaned unless you take the trouble to explicitly ask for it. When checking-in, you are not informed by the staff about these conditions. Paying 130 $ / night for such an environment is not good value for money.